Through dance, movement, music and T’ai Chi Ch’uan, Greacian Goeke has been inciting the abundant creativity of older adults and younger collaborators for the past 25 years. She states that she is inspired every day to see creative expression awaken the whole person. In 2008 Greacian founded Impromptu No Tutu, an improvisational ensemble ages 50 – 90. Their “dance as you are” mission is to nurture creative aging through dance in community and to bring the joy of participatory dance and music to all ages. At Mills College Children’s School, Greacian teaches music and movement to 2- to 5-year-olds and directs an Orff Schulwerk program for classroom teachers and graduate students to strengthen music and movement skills across the curriculum. For nine months in 1996, she donned a hard hat as theater and music Artist in Residence at the San Francisco “dump” through the Make Art Not Landfill program, and collaborated with 15 elementary schools. The spirit of ingenious re-use continues to permeate her work. Greacian performs with Dance Generators, the University of San Francisco’s intergenerational outreach ensemble based in the Department of Performing Arts and Social Justice. She holds an M.F.A. from California College of Arts, a B.A. 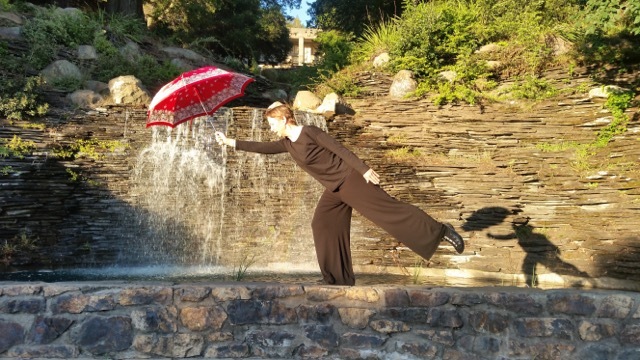 from Cornell University and a Level III Certificate in Orff Schulwerk, Greacian has trained in modern dance, percussion, improvisation and choral singing, with additional training in Dalcroze Eurythmics at Carnegie Mellon University. She is past president of the Northern California American Orff-Schulwerk Association. LEADERSHIP GOAL: To develop skills and create a business structure that will best guide me to a new level: reaching more elders and working with allied programs in creative aging, quality of life care and intergenerational community building through dance.